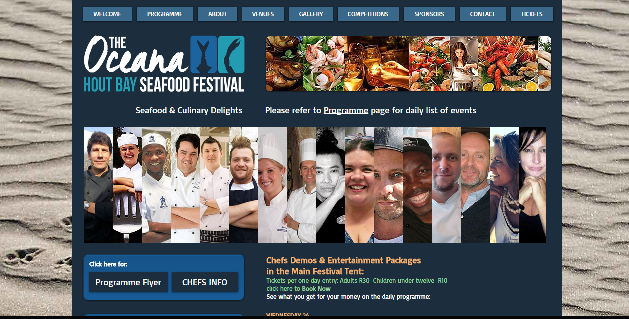 On Sunday the 28th of September I’ll be presenting a short talk and cooking demo at the Oceana Hout Bay Seafood Festival. This will be the first time for me and hopefully I wont get all nervous and mess it up or use our colourful kitchen language while wearing a mike. I wish I could take all my staff along with me as, even though the recipes are mine, they perfect them in the deli. I’ll be chatting about my 3 favourite sustainable fish, giving tips on how to best prepare the fillets and presenting a short recipe for each. 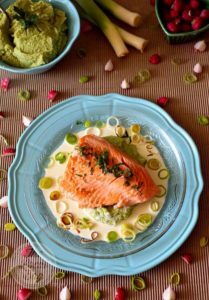 My sustainable fish of choice are Angelfish, Yellowtail and Trout and my recipes follow. Mix together all the ingredients except the Trout. 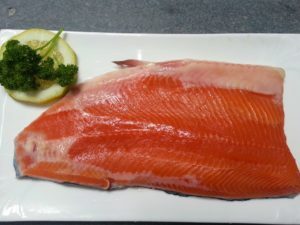 Place Trout in a buttered oven proof dish. Pour the sauce over the Trout. Bake at 180 degrees for about 12 – 16 minutes until just cooked through. 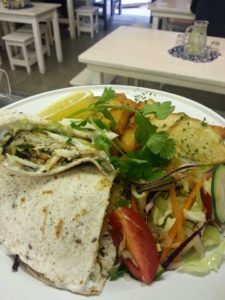 As this dish is quite rich I like to serve it with steamed veg or a salad. I use a mixture of red cabbage, cucumber, radishes, raw baby marrow, mange toute, mung bean sprouts and wafer thin red onion but any combination of seasonal veg will be delicious. Slices of Avo also work well. This salad is so simple I can’t really call it a recipe, let’s rather call it inspiration. 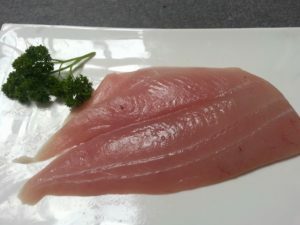 I wanted to include it as I feel Yellowtail is overlooked as a fish for sushi or sashimi. 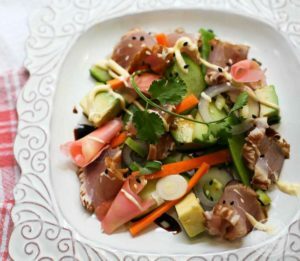 Sustainably caught Tuna is not always available and Yellowtail would be a much better, tastier and more sustainable option than imported Salmon or Longline Tuna. Cut the Yellowtail into logs, don’t throw away the offcuts, they are perfect for Thai fishcakes. Marinade the Yellowtail in soya sauce with a little chopped chilli and fresh ginger for about an hour. Sear the Yellowtail in hot pan with a little oil. A mixture of sesame and vegetable oil works well. Next up, throw a salad together, anything seasonal and fresh works. Slice the Yellowtail into thin slices using the sharpest possible knife. Place the fish on the salad, dress with soya sauce, sweet soya and sushi mayo and there you have it. Quick easy and sustainable.